Want to get lost in a big book that whisks you away to a foreign land? Check out these 10 Big Books Worth Reading to Travel the World in Books and start your reading adventure now! Who’s ready for the weekend? As a stay at home mom, now that my 3 sons are out of school, every day feels like the weekend. They are simply adorable and I love spending time with them. But it’s been a challenge to keep them entertained and productively busy, already we are losing track of what day it is. With more hours spent at the pool during the day and the kids wearing me out so I am literally showered and in pajamas by dinnertime, I’m hoping the summer allows me more reading time. My friend Sue hosts the Big Book Summer Reading Challenge and she got me hooked on reading big, chunky books in the summer so I can take the season to get lost in an epic story. So for our June Travel the World in Books Reading Challenge, I thought it would be fun to join forces with Sue again this year and read big books that help us explore other countries, cultures and histories throughout the world. My goals are pretty simple: read The Nightingale by Kristin Hannah and finish Outlander, that I started during last year’s challenge but never finished….gasp! I know! We all love book lists, so I thought I’d share some of my recommendations on big books worth reading to travel the world in books. Grab one and let’s go! This is the book I’m starting off reading this month. Kristin Hannah is one of those authors whose stories you get so wrapped up in, it encompasses your heart and mind while your read. The stories are captivating and the characters real and conflicted. What usually evolves is a book you can’t put down and an experience you won’t soon forget. 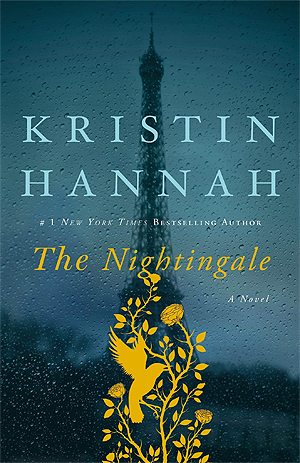 So many rave about The Nightingale* and I have yet to be disappointed by Kristin Hannah, so I know I’ll love it too. You can get The Nightingale for FREE with an Audible Trial* now too. And the Mountains Echoed* is a moving story about an Afghan family and the trials and tribulations they endure to survive. 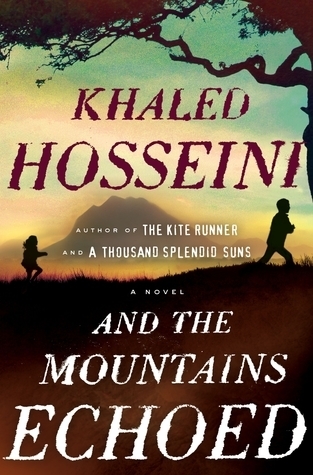 Hosseini’s writing is like beautiful poetry, I found myself hanging on each word and the images he etched into my mind. Of course, I love that this story takes us from the stark landscape of Afghanistan to the charm of Paris and the breathtaking beauty of Greece as the story progresses. You can get And the Mountains Echoed for FREE with an Audible Trial now. A tiny girl is abandoned on a ship headed for Australia in 1913. She arrives completely alone with nothing but a small suitcase containing a few clothes and a single book; a beautiful volume of fairy tales. She is taken in by the dockmaster and his wife and raised as their own. On her twenty-first birthday, they tell her the truth, and with her sense of self shattered and very little to go on, “Nell” sets out to trace her real identity. Her quest leads her to Blackhurst Manor on the Cornish coast and the secrets of the doomed Mountrachet family. But it is not until her granddaughter, Cassandra, takes up the search after Nell’s death that all the pieces of the puzzle are assembled. A spellbinding tale of mystery and self-discovery, The Forgotten Garden will take hold of your imagination and never let go. We read The Forgotten Garden* for a Travel the World in Books Readalong two years ago and it is STILL one of my favorite books of all time. Yes, Morton’s writing is gorgeous and lyrical but I love the way she wove fairy tales and mystery into this story. It was the fastest I’ve ever read a 500 page book and I remember being torn at the end because I wanted to know so badly what happened but I really did not want it to end. As a result, Kate Morton is a must read author for me and I’ve bought The Lake House, The Secret Keeper, The Distant Hours and A House at Riverton since then. That’s how incredible I thought The Forgotten Garden was. You can grab some discussion questions I created here and here during the readalong and see what others thought of the book too when you’re done reading those parts (warning: might contain spoilers). 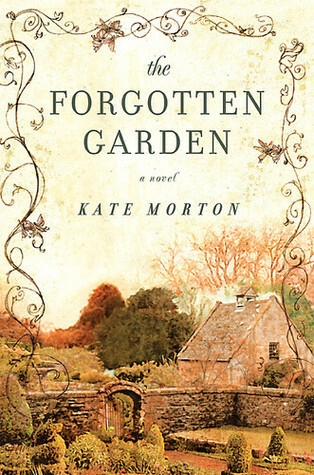 You can get The Forgotten Garden for FREE with an Audible Trial* now. Check out Kate Morton’s other books*, most of her books, including her newest The Lake House, are all 400+ pages and take place typically in England so any of them would be great for our challenge. 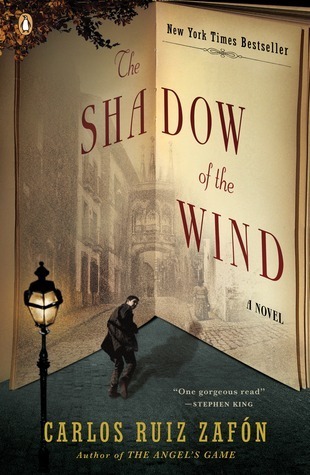 The Shadow of the Wind* is my favorite book of all-time, in fact I’ve read it twice (and I don’t re-read books) AND I bought it in Spanish when we went to Spain (it might be the motivation I need to FINALLY learn Spanish). I was hooked from the start when Daniel’s father, a bookstore owner, takes him to the Cemetery of Forgotten Books and chooses a book he’s sworn to protect. This book is dark, mysterious, romantic and magical. Who doesn’t love a story about murder, madness and doomed love? The English translation of The Shadow of the Wind is so beautiful, I can only imagine how I’ll love the original Spanish version, if only I would learn Spanish! Daniel swore to protect The Shadow of the Wind and now here I am too. You can grab some discussion questions I created for The Shadow of the Wind here and see what we talked about during our challenge readalong of this book (warning: might contain spoilers). At 402 pages, I am sooo glad that Mademoiselle Chanel eeked it’s way into the big books category. 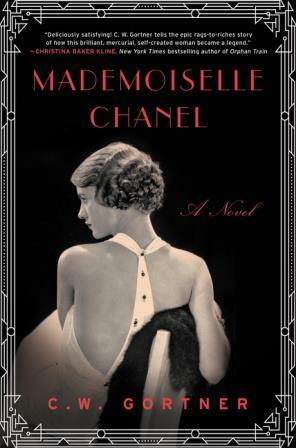 Mademoiselle Chanel* is one of my favorite historical fiction novels. I loved Coco Chanel’s fiery and rebellious nature. The way her attitude propelled her to break glass ceilings and become the fashion legend we know today. Goertner weaved together fact and fiction so seamlessly that I wanted to learn more about Coco and what was fact and what gaps he fictionalized. You can read my full review of Mademoiselle Chanel here. You can get Mademoiselle Chanel for FREE with an Audible Trial* now too. Those are just a few of my personal big book recommendations. What do you recommend? 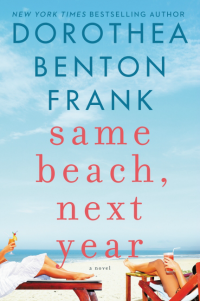 There’s a giveaway of Same Beach, Next Year by Dorothea Benton Frank going on now. This novel follows two married couples and their 20+ year friendship through heartache and joys, tragedy and triumphs. Set on the beaches of South Carolina and Corfu, Greece, this book will have you wanting to head to the beach with your best friends! Read my review and enter the giveaway here and download the book club discussion questions from the Exclusive Subscriber library here. 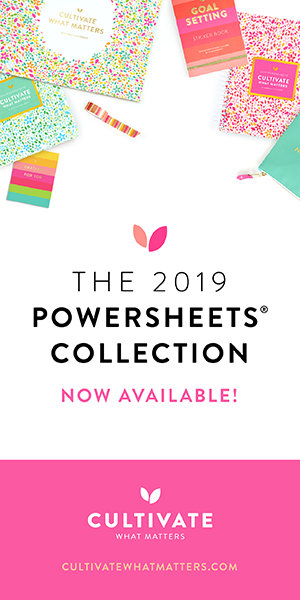 Be sure to head to the Exclusive Subscriber Library and download your bookish bucket lists, reading challenge trackers, and more book club discussion questions to get your book club talking. Subscribing to my Newsletter will also keep you posted on our reading challenge events, book deals and subscriber exclusive giveaways! Join now and I’ll send you bookish news to your inbox once in awhile! What are you reading this month? Will you join us for the Travel the World in Books reading challenge as we tackle big books? Comment below and let me know! Welcome to the Big Book Summer Challenge, Tanya! So glad you joined up again! And thanks SO much for the extra boost from folding your Travel the World in Books Challenge into it! What a great idea! 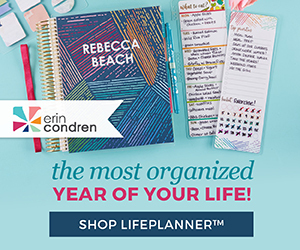 I have read most of the books on your list – excellent choices! I guess I better get busy & read the last few! I read The Nightingale last November for my family book group – it’s a wonderful novel. Hope you enjoy it – AND finishing Outlander! I love Kate Morton and Lucinda Riley is on my radar, I’m intrigued by her Seven sisters series. Thanks for the reminder! Fantastic, I hope you enjoy and stop by and tell me how you like them. I’ve got a giveaway going on now for Same Beach, Next Year. If you are in the US, I hope you enter to win it! Great list! Another one I recently read and loved is Beartown by Fredrik Backman…set in Sweden. SO fantastic and a quick read despite it’s 400+ pages. I flew through it in a few days. Thanks for the suggestion. I love big books that are easy to get through and don’t feel that big. I have My Grandmother Asked me to tell you She’s Sorry on my shelf to read by Bachman. I hear great reviews of his books. Nice! You provide another so inviting and helpful reading list, as we find ourselves on the brink of summer. I really applaud the way you integrate this so well with Sue’s Big Book Summer Challenge. The community of readers and bloggers is great, isn’t it? So glad to be a part of it. Thank you! Thanks Lucy! What are you reading now? 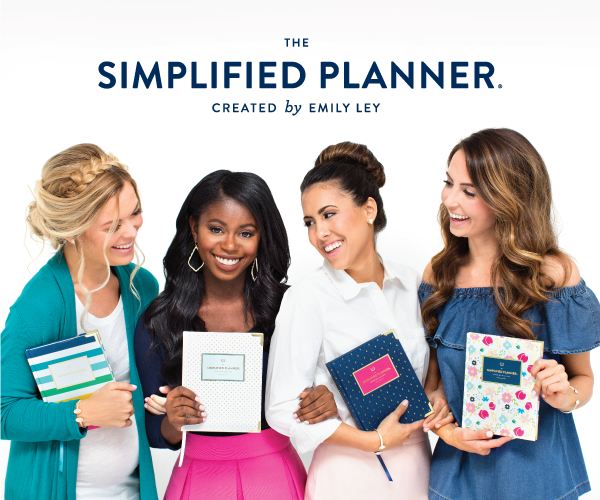 Will you be doing big book summer too? I like to integrate challenges so I can still participate and discuss with friends. My favorite part of book blogging. Thanks for your support as always!